Developed for noise measurements in the most diverse areas. 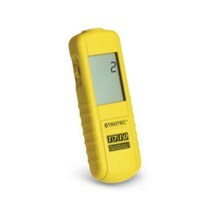 The Professional Series is ideal for the professional measurement of humidity and air temperature. 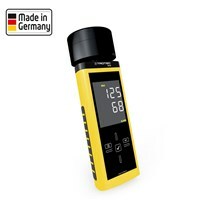 The devices have a high measurement accuracy and guarantee reliable and long-term use due to its quality label "made in Germany". The thermo-hygrometer T210 and T260 - german quality production - are ideal for climate control in residential, office, production and storage rooms. 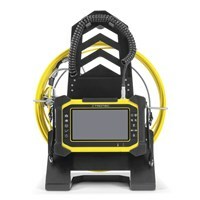 The material moisture measuring devices T610 and T660 are optimal for rapid non-destructive determination of moisture distributions in areas near the surface to 4 cm. 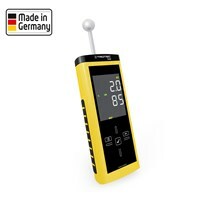 In addition, we offer in the pro series the wood and buildings measuring instrument T510. By using the resistance method you can accurately determine the moisture content in wood and other materials. 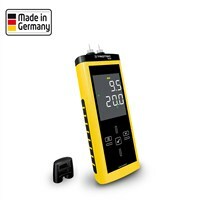 The anemometer TA300 is a professional hot wire anemometer for the exact determination of air velocity, air temperature and flow rate. 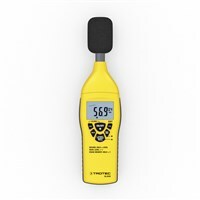 The sound level meter SL300 is ideal for the control and supervision of workplace, industrial and environmental noise.